I recently read an article online entitled “Is ‘Me Time’ for Moms Selfish?”. After reading the title of the article, I immediately thought, “No! Of course it’s not”. Turns out, the author of the article, Mia Redrick, feels the same way. Being a mom is exhausting, to say the least. It’s non-stop whether you’re a working mom or a stay-at-home mom. Either way, at the end of the day, you just want to put your pj’s on and crawl into bed. But, as Redrick states later in her article, it is important to take time for yourself as well. If you don’t take care of yourself you’ll be run down, stressed out, exhausted, and unhappy. That’s not good for you, your spouse, or your children. I feel that a happy mom = a happy home. “Me” time can take on many different forms. You could go get a manicure, go shopping, go to a spa, hang out with your girlfriends, see a show, go to the movies, take a nice long bubble bath…the list goes on. Find something you enjoy doing, something that relaxes you and set aside time to do it. Tell your husband he’s on duty while you relax. If you’re a single mom, see if a family member or close friend can babysit for a few hours (or hire a babysitter if needed) while you go out and have a good time. There’s no shame in doing so and no reason to feel guilty! So, go on, have your “me time” and enjoy! 10 Responses to "A little “Me” time"
Yeah I should get myself some too! Completely agree! 🙂 Just finished reading Francine River’s new book this weekend and it was glorious! 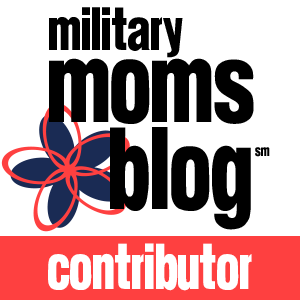 PS – thanks for including SAH moms in the mix. Sometimes I wonder what people think we do all day . . . I so believe in “me time” for mums. A happy mum means a happy family in my mind. Thanks Ranay. I’m glad you went out and had some time for yourself the other day. Especially important to do when pregnant! 🙂 You need to get some more “me” time in before baby #2 comes along and you’re super busy again. You can get a lot of extra “me” time by letting G stay with is Aunt Becky while you and your mother go and clean and do whatever. Hmm…I don’t know about that.